The same myth could be used to describe parents of gifted children. Fortunately, help is available. A number of organizations and university programs offer parenting resources. The nonprofit SENG (Supporting the Emotional Needs of the Gifted) was founded after the suicide of a gifted teenager, and it works to support families and raise awareness about gifted differences and needs. Several states require gifted programs or accommodations for gifted-identified students. A few states require IEPs (Individualized Education Programs) for gifted students – just as for students served by Special Education. A number of gifted parenting books offer advice for home and school, and local enrichment options are often available. 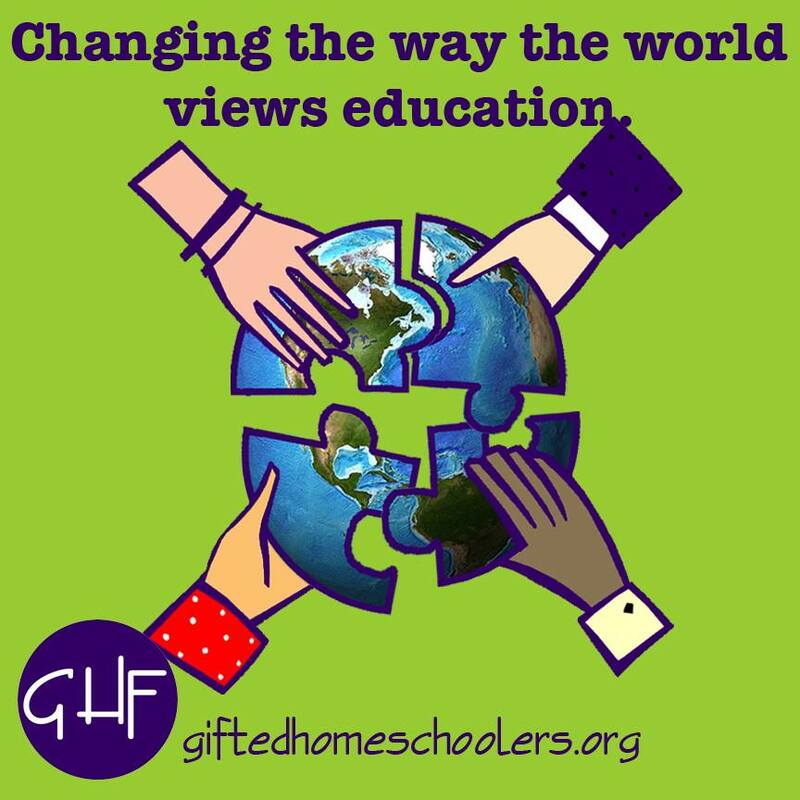 For families living in areas without gifted programs, online resources continue to expand for gifted homeschooling and enrichment. Even with help, meeting the needs of a student with differences can be complicated and exhausting – especially if your student is twice-exceptional (gifted with other special needs), is highly to profoundly gifted, or belongs to another special population. In many ways, gifted parenting is similar to coping with other learning differences. It often requires school advocacy. It requires learning about a label and recommendations, and about how characteristics manifest in your individual child. It may require keeping up with research, and searching for outside resources, evaluations, and/or therapy. It can involve misconceptions and assumptions, and you may feel isolated. It requires educating others about your child’s differences and needs – year after year. It requires – well, dealing with your child. On a daily basis. When encouraging parents to practice self-care, experts sometimes use the example of an oxygen mask. In airplanes, flight attendants tell parents to put on their own oxygen masks before helping their children. Just as children are more likely to survive a plane emergency with conscious parents, children are better equipped to handle life’s challenges when parents take care of themselves emotionally. Dr. Ann Dunnewold, psychologist and author of several parenting books, uses the metaphor of a pitcher of liquid, or of an emotional bank account. When parents constantly give of themselves emotionally, if they never pause to replenish, they eventually run on empty. For parents of children with special needs, self-care often seems like an impossibility. There is always more for a parent to do – more to research, more recommendations to follow, more interventions to try. Yet carving out time to care for your own needs isn’t a selfish act: it can recharge the energy you need for your children. It can make you more efficient and effective. It can make you a better parent. So, when you have a gifted or twice-exceptional child, where can you find your oxygen mask? • Seek support from other gifted parents. If your area doesn’t have a local parent group for gifted families, you can ask if a group for special needs will embrace gifted parents. You can also begin a group. SENG offers local and online parent support groups, and a number of gifted organizations offer discussion forums. • Take a day or weekend for yourself, if you are able. In her book Even June Cleaver Would Forget the Lunch Box, Dr. Ann Dunnewold notes that Maya Angelou recommended getting away for a day, regularly, to put one’s life in perspective. • Take care of your physical and mental health. Several sources offer advice on finding practitioners experienced with gifted children and adults. In A Parent’s Guide to Gifted Children, for example, Dr. James Webb’s chapter on “Finding Professional Help” offers tips which can apply to both gifted children and adults. • Cut yourself some slack. Perfectionism can take a toll on both parents and children. Dr. Dunnewold suggests a paradigm shift. Instead of trying to be “perfect,” you can focus on being “perfectly good,” on being yourself, and on accepting your human limitations (more tips in June Cleaver). • Pursue your passions! Sir Ken Robinson’s book The Element explores the potential of finding where talents and personal passions intersect, and the journey of seeking fulfillment. • Protect free time. A rush-free parenting approach may ease stress and allow for unstructured time and creative pursuits. • Nurture your needs through books! Bibliotherapy can be effective for both gifted children and adults. • Learn about your own intensities. A growing number of articles and books address issues facing gifted adults. • Seek friends who support you. Some parents, sadly, engage in “mommy wars” and relational aggression, which is similar to childhood bullying. As noted by Dr. Dunnewold, parenting is not a contest, and you do not need to tolerate this behavior. You can find parent friends who appreciate you and your children for who you are. • Frustrated with gifted education? Help make it better. Many educators of gifted children wish they could do more for their students, and they need parent support. Groups and individual parents can volunteer to help teachers, schools, and state or national nonprofit groups. They can advocate at the district and state level. Getting involved may help some parents cope with feeling powerless, and can make positive change after a difficult experience or year. Parents facing your same challenges may be few in your area – but they are out there, looking for support. You are not alone. Not every strategy works for everyone, but we can all find our oxygen masks. Whatever yours may be, remember to use it, to breathe, and to include yourself in your daily care. If we want our children to take good care of themselves, and to seek help when they need it, we must lead by example. In the meantime, our self-care helps our children: it gives them happier, more fulfilled parents. We are proud this post is part of the How and When to Ask for Help Blog Hop on Hoagies’ Gifted Education Page! Even June Cleaver Would Forget the Lunchbox: Cut Yourself Some Slack (and Still Raise Great Kids) in the Age of Extreme Parenting (2007). The Motherhood Club: Help, Hope, and Inspiration for New Mothers from New Mothers (2002), with Shirley Washington.